Estella's Revenge: #BBAW Day 3: Blame It On a Blogger! #BBAW Day 3: Blame It On a Blogger! Ahhhh, blogger recommendations. This is what I live on. Quite literally. Most of the books I read have been recommended by a blogger somehow, sometime, somewhere. Am I good at keeping up with who recommended what? Noooo. In fact, I had to search my blog archives for "recommended by" to find some of these, and we're going WAYYYY back, kids. As far back as the early 2000s. First off, Heather from Capricious Reader gets her own section because she is always right with her recs. I'll go on record saying it. 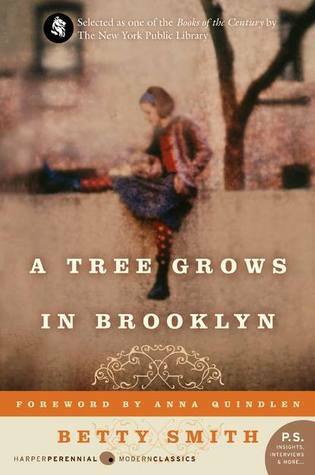 Some favorite books she's recommended are A Tree Grows in Brooklyn by Betty Smith, anything by Libba Bray (I've read A Great and Terrible Beauty and The Diviners), as well as The Stolen Child by Keith Donaghue, and some new all-time favorites, the Tiffany Aching books. Many years ago, when the Estella Society was something of a general writing collective, we received a book from a small press, Turtle Point, for review. 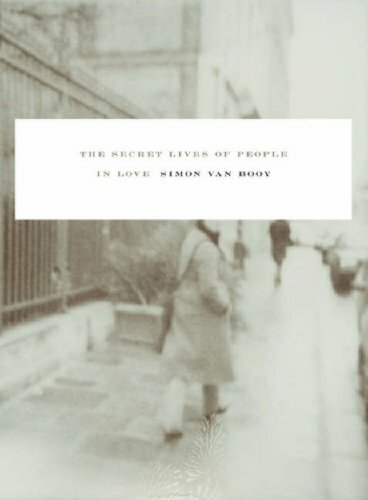 It was the first book of short stories from Simon Van Booy, and Nancy from Bookfoolery snapped it up for review, loved it, and urged me to read it. It was love! Gender Outlaws: The Next Generation snuck into my 2015 favorites right at the end of the year. I'm so grateful for Monika's review for pushing me to give it a try. The Sparrow by Mary Doria Russell is undoubtedly one of my all-time favorite books, and it Les's enthusiasm over the years that prompted me to finally give it a go. I was looking to try some steampunk for the first time, and Tanya Patrice from Girlxoxo gave me a push toward Corsets and Clockwork, a collection of 13 steampunk stories. Such a great sampling of the genre. Manyyyyy many a year ago, 2001 in fact, a good friend from Yahoo Groups, Dena, told me that I must read The Robber Bride by Margaret Atwood. I did, and it's certainly my favorite Atwood that I've read to date. Her tastes are impeccable. I could go on foreverrrr giving shout outs, but it's been an interesting week with a sick kiddo and a busy work schedule, so I'll leave this here for now. I can't wait to see your "blame it on a blogger" posts! You know, BBAW hasn't been kind to my TBR. But I guess I like that. When I came across The Sparrow previously, I wasn't too enamored, but now I am eager to read it. See, blogger recommendation always works! LOL, I do understand that. I hope you love The Sparrow! Fantastic character development. I started with The Handmaid's Tale, and I really have to be in the mood for her writing. I really want to read Stone Mattress and the MadAdam Trilogy soon. I don't even know if I spelled that right. I think I also DNFed Cat's Eye. Tiffany Aching! And The Diviners! Much love. And I've had Corsets & Clockwork on my TBR list for aaaaages now, maybe it is time to move it up. It's a lot of fun to dip in and out of re: Corsets and Clockwork! Some hits and some misses, but it had enough variety to really intrigue me and get me into the genre. I think you and Heather were separated at birth. :) I love the friendship y'all have formed. I think you might be right! We're definitely connected at the electronic hip. Awww I'm so glad you read Gender Outlaws and enjoyed it. And you know, I read The Sparrow alllllll because of you! Love to hear all these stories of how bloggers found their books! It is fun, isn't it? And as I wrote this, and as I read other people's posts I remembered more! 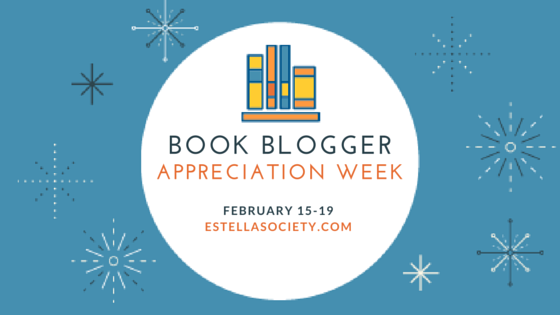 I never think to keep track of who recommended which book to me but I'm pretty sure bloggers are guilty of at least 50% of the books I've picked up, in recent years. Definitely A Tree Grows in Brooklyn and The Sparrow, among them. I feel so blessed to have found Simon (both the friend and the writing) through Estella. I don't either, but I really should more often. I love that you and Simon have such a great friendship. He's so good. Thank goodness you were introduced to Simon van Booy! I have his newest one sitting on my shelf and I am so excited! I have it on Edelweiss and I can't wait! Thanks for the shoutout, Andi! I'm almost ready to read The Sparrow again. That would make it my 3rd time. Love that book!